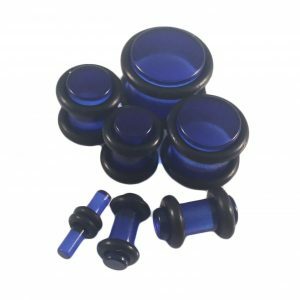 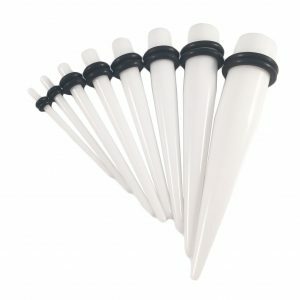 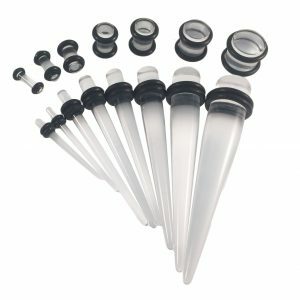 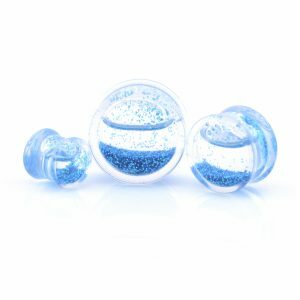 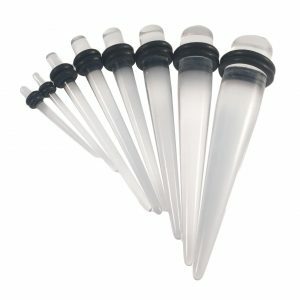 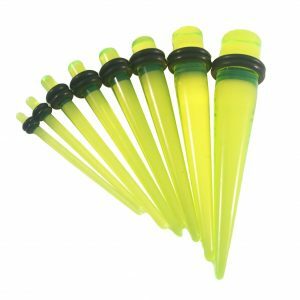 Clear Acrylic Ear Plugs With O-Rings. 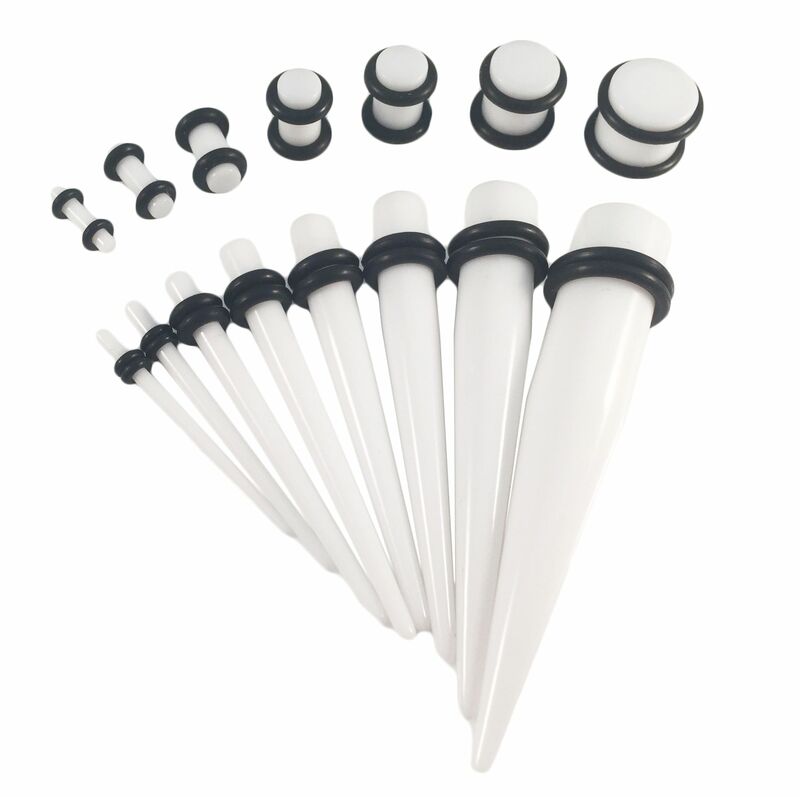 Available in multiple sizes, other colours available on our site. 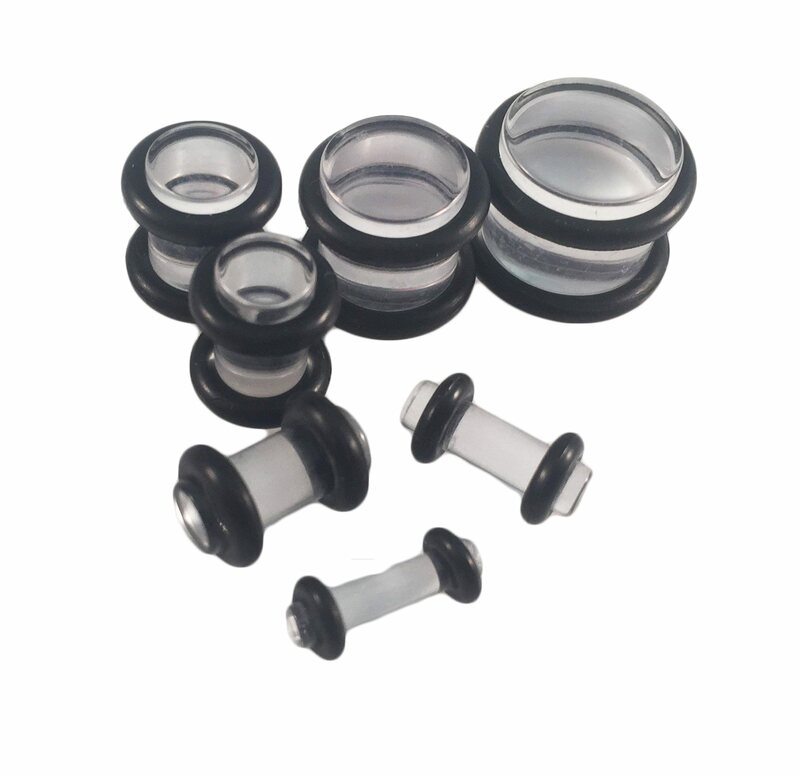 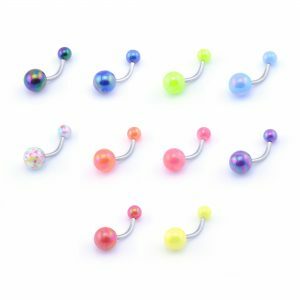 Available in sizes from 2mm up to 10mm.